Piracy is coming to PC again. Last year, Ubisoft gave the term ‘annual milkage’ an all new meaning when it launched not one, but two brand new, full fledged console games- and this wasn’t even a case of one of the games being an obviously smaller in scope project, like a downloadable only side story, or a handheld or mobile game- nope, these were two full featured console Assassin’s Creed games- Unity, which launched for Xbox One, PlayStation 4, and PC, and Rogue, which launched for Xbox 360 and PlayStation 3, though Ubisoft promised it would come to the PC eventually. Why would you want it on PC? 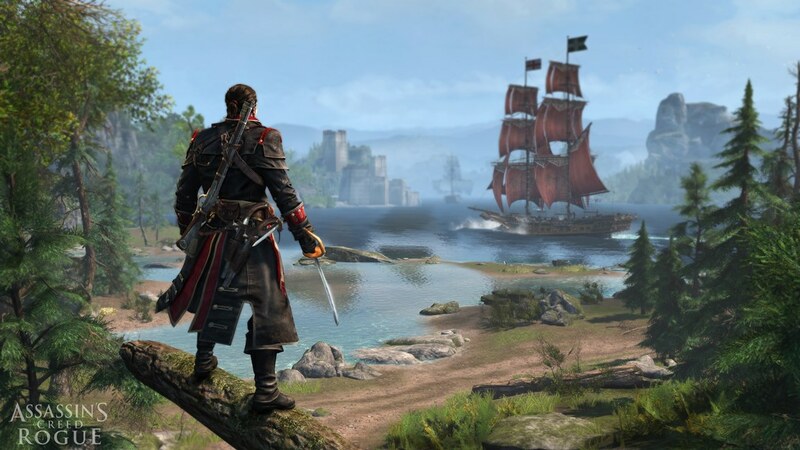 Because by a lot of accounts, Rogue, which continued on with the high seas, swashbuckling adventures in 2013’s superb Black Flag, was actually a better game than Unity. Now, if you wanted to make your own mind up on this, you may in luck- online Czech retailer Playman seems to believe the game is headed to PC in April of this year. Of course, retailer listings can often be, and frequently are, wrong, but if nothing else, this does give us a nice timeframe to work with.